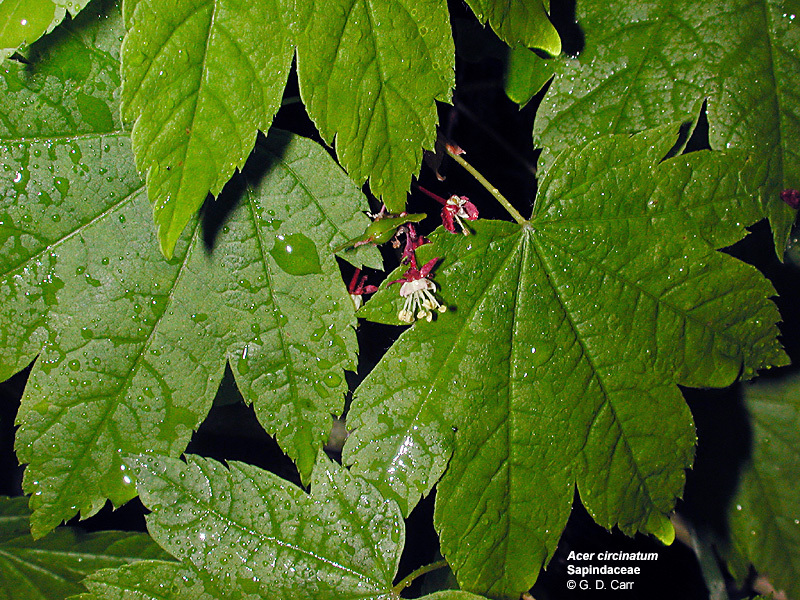 Acer circinatum, vine maple, Silver Falls, OR, 2002. 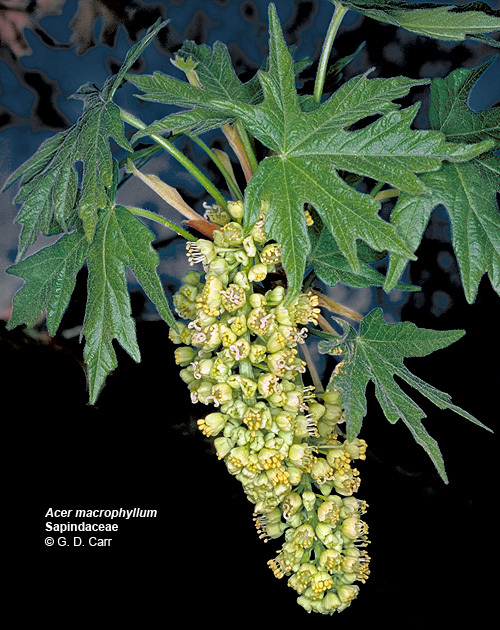 Acer macrophyllum, bigleaf maple. 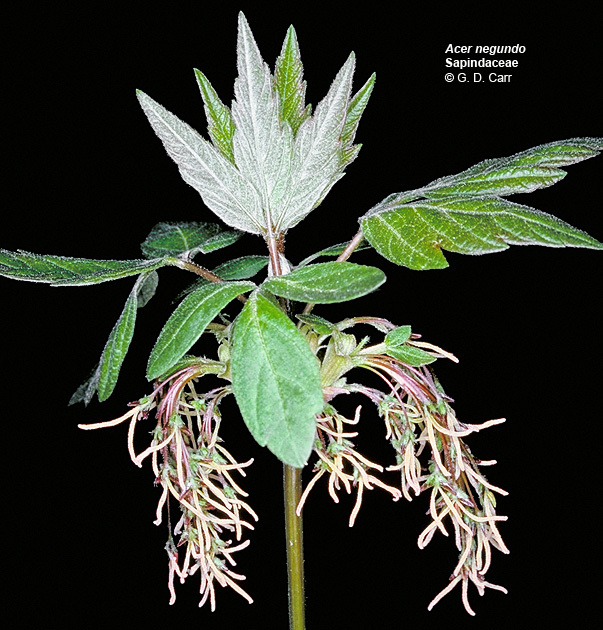 Bisexual and unisexual flowers may occur in the same inflorescence in this species, 2 - Cascadia, OR, 2002. 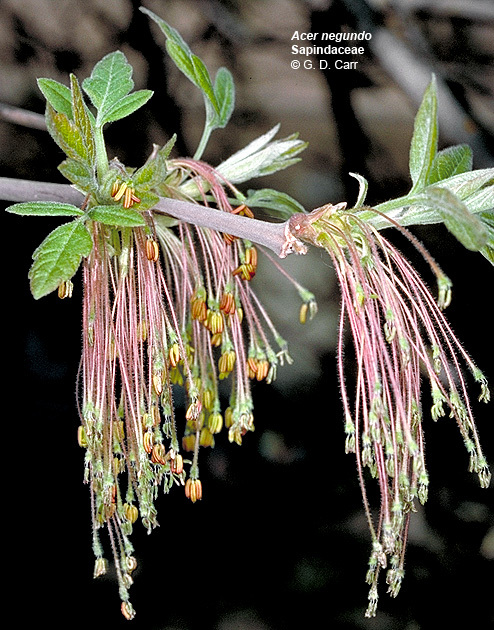 Acer negundo, boxelder. 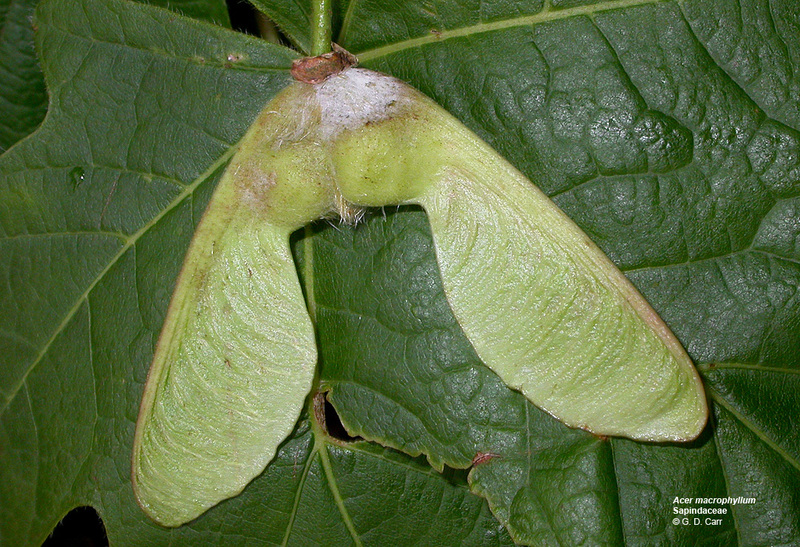 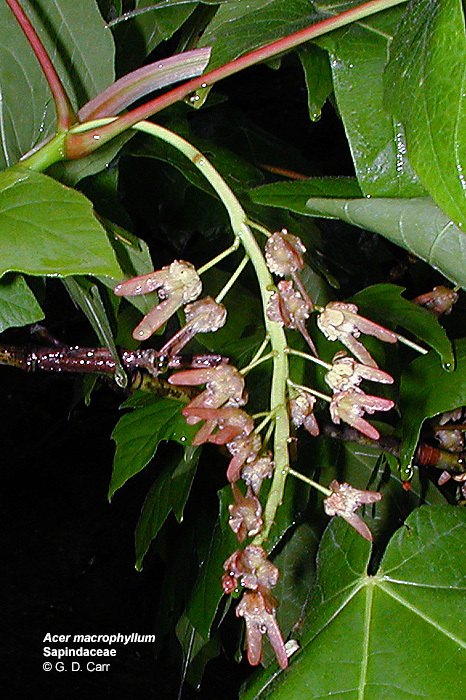 Note female flowers and the rare occurrence of compound leaves in this species of maple (left photo). 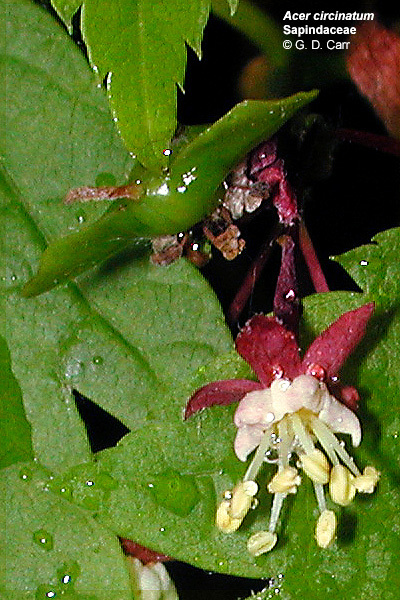 Male flowers can be seen in the photo on the right..